Mai Po Nature Reserve in Hong Kong is a wetland of international importance. Up to 90,000 water birds spend the winter in the area, and the marshes and mud flats are famous for the number and variety of shorebirds that pass through in spring on the way to their breeding grounds in the north. In striking images and prose, this photographic essay depicts the rich biodiversity of the wetland and traces the seasonal changes that occur during the year. 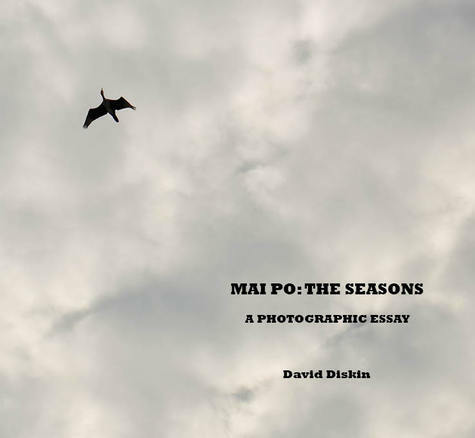 ﻿﻿"This book really does show that Mai Po is a destination for all seasons." "... a wonderful collection of pho﻿tographs wh﻿﻿ich illustrate the changing seasons on the marshes... Definitely one to thumb through on those long winter nights and imagine yourself being transported to distant places and wonderful birds." "Appreciation of photographs is very much a subjective matter and everyone will hold their own opinion of the book. What I know for certain is that there are images here, for example, a Eurasian Curlew in flight, a Yellow-bellied Prinia caught in a spider's web and a double-page spread of waders in Deep Bay seemingly threatened by the imposing background of an ever-growing metropolis of Shenzhen, that compare with the best in nature photography." Hong Kong Bird Watching Society Office - 7C, V Ga Building, 532 Castle Peak Road, Lai Chi Kok, Kowloon. For payment by Paypal or credit card please click on the button below.